A professional boxer would never step into the ring with bare hands. The passion and spirit of boxing lie in a boxer’s boxing equipment. 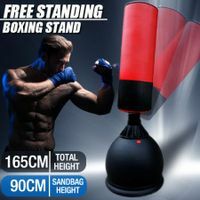 And the cheap yet durable boxing gear are stocked at BestDeals, from boxing gloves, punching bags, punching mitts and shields to multi-station boxing stands with power tower. 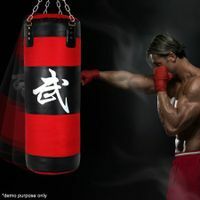 Improve your fitness, endurance, speed and raw power with our high quality punching bags, a perfect box training aid for boxers and martial artists. 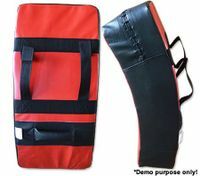 Exercise in the comfort of your own home at low cost and achieve boxing workouts anytime with this durable boxing bag. 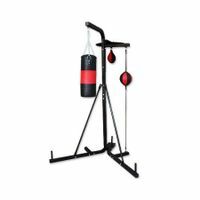 We also provide wall mounted boxing bag rack, punching bag stands and even multi-station boxing stands to satisfy all your boxing training needs. 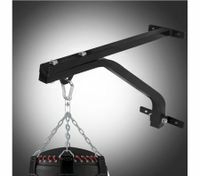 With a maximum weight capacity of 100kg and a heavy duty steel construction, the wall mounted rack can withstand the hooks and kicks of any MMA fighter! 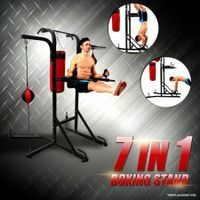 In order to practice knee raises, dips, chin ups and an array of other strength training exercises, you can also use the multi-functional boxing stand, which is also built to withstand all the kicks and punches you throw. 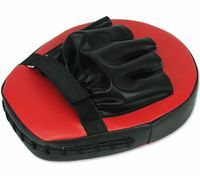 Rock your opponents with fast and powerful supply of jabs with the best boxing equipment in boxing games. Show your boxing technique on the ring after hardworking boxing training. Check out the best prices from BestDeals, a New Zealand online store aiming to fit all your sport & fitness needs. We bet you will be interested in our wide range of gym equipment, ball sports gear, cycling or fishing accessories and more!